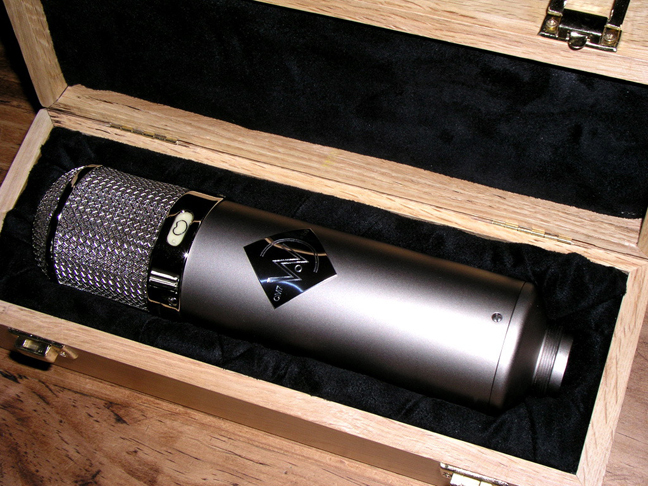 The CM7 is a historically-accurate reproduction of the early long-body Neumann U-47. Like the original, the CM7 has an M7 capsule and the full-sized U-47 transformer, and offers Cardioid and Omnidirectional pickup patterns. 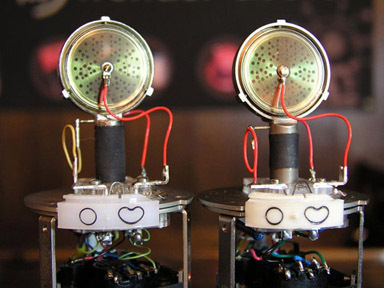 The mic’s capsule is described as a “Berlin M7,” and differs from the better-known Gefell M7 capsule in a a few respects, including the way in which the backplates and rims are machined, and perhaps more significantly in the use of 6-micron Mylar rather than 10-micron PVC for the diaphragm material. Wunder can supply a K47 or PVC M7 capsule if requested (additional fees may apply). [T]he M7 Back plates are Hand machined in Switzerland and only the ones that spec out the very best after we get them back in Texas will go out to Germany to be Skinned by Siegfried Thiersch, ex-Neumann Berlin capsule expert. The mic’s transformer is a BV8 reproduction from renowned transformer supplier AMI/Tab-Funkerwerk, headed by ex-Telefunken technician Oliver Archut. The CM7 is the ONLY U47 clone that offers the larger Transformer found in the very sought after early serial numbered long-body U47’s. There were approx 6000 U47’s made but only the 1st 1000 (1949-1952) had the larger BV8 transformer. This large version had 25% more windings for a bigger sound! Wunder can supply UF14 or VF14 tubes by special request, and at additional cost. The headbasket of the U-47 is partly responsible for the microphone’s sound. The Grille of the U47 is very unique in the way it allows a 1.5 db boost at 5k to take place with astonishing presence and then cuts 8K about 1dB to take the sibilance away. Then there is a 1 dB bump at 10 k, then rolling off at 11k. This natural EQ is unbeatable. This unique grille has a fine gauge mesh wire sandwiched between an inner and outer heavy gauge grille wire. We use the identical grille setup as the original U47. The CM7 includes a padded oak storage box (embossed with the Wunder logo), a historical-reproduction elastic shockmount, reproduction power supply, and reproduction Tuchel cable. The Wunder Audio CM7 is also known as: CM-7.